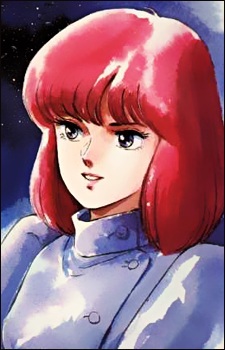 A trainee for the Elite 13, Leccee initially meets Daba when he steals a ship on Koam and she is brought along. Leccee falls in love with Daba and defects from the military to join him. A skilled and experienced pilot, she is a powerful ally although she and Amu don't get along, often fighting over Daba. Leccee eventually gets upset with the rebels' progress and leaves them to become a member of Amandara Kamandara's private army. She eventually returns to the rebellion as the captain of the space shuttle Whale.